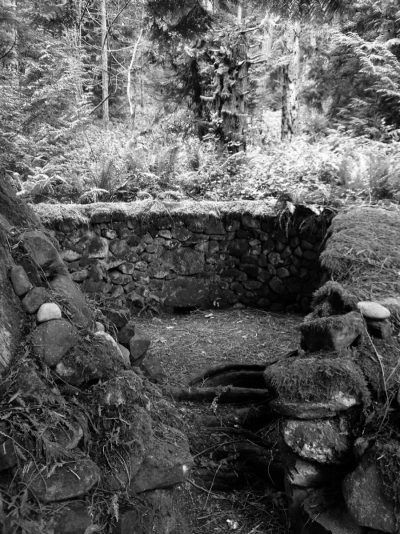 While walking in the forest on his home island of Galiano one day in 1982, avocational archaeologist Steve Nemtin fell into what he would later learn was the remnants of a pit kiln created and used by Japanese Canadians for making charcoal prior to the Second World War. As often happens, at least in the world of archaeology, this mishap and accidental discovery led to a totally new area of interest and research. 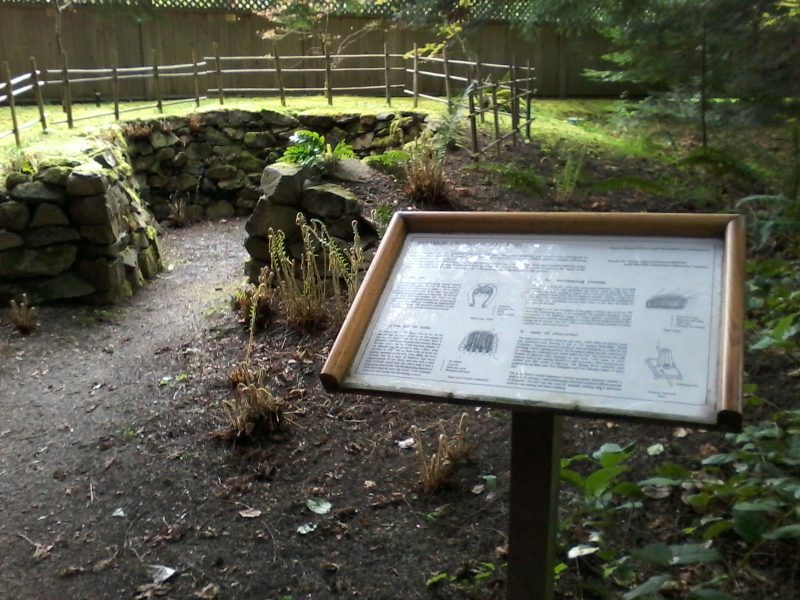 In this case, Nemtin’s stumble led to the discovery of fourteen more charcoal kilns in the southern Gulf Islands, the restoration of three, and the formation of the Historical Charcoal Kilns of the Southern Gulf Islands Project. This short book (sixty pages) is one of the outcomes of the project, providing interesting insight into a little-known industry involving Japanese-Canadians in the late 19th and early 20th centuries. 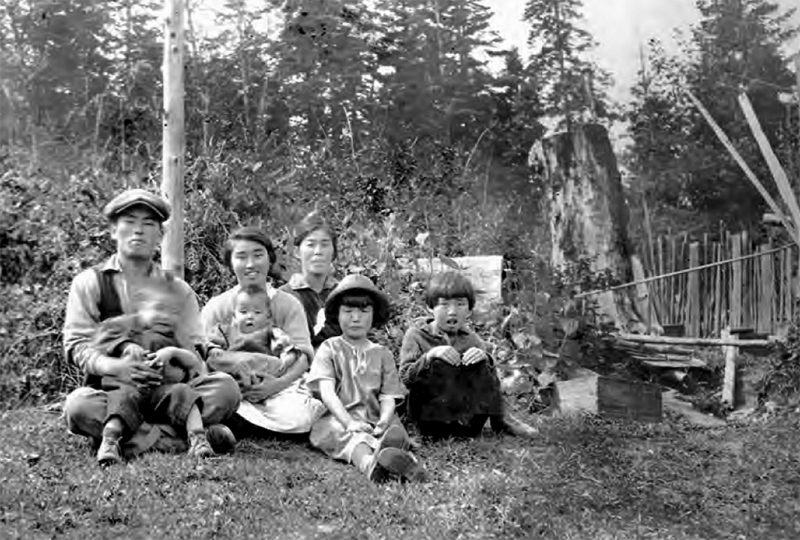 A brief introductory overview on the history of the Japanese in the Gulf Islands prior to the Second World War is followed by five chapters, the first of which, Brian Smallshaw’s “Charcoal Kilns of the Southern Gulf Islands,” describes the nature of charcoal, how it is made, and its benefits over firewood. As described by Smallshaw, “Charcoal is made by partially burning wood in a process known as pyrolysis, the heating of wood or other materials in an oxygen reduced atmosphere. This is often done in an enclosed container, usually referred to as a kiln.” He notes that charcoal is more efficient than firewood since it is lighter, burns hotter and with little smoke, and preserves indefinitely. Smallshaw also considers the value of charcoal worldwide in history, its historical use on the west coast, an overview of charcoal-making in the Gulf Islands, and the uses of charcoal in daily life in the late 19th and early 20th centuries. Apparently there was considerable demand for charcoal, including for heating solder and soldering irons in salmon canneries. Making charcoal probably became an activity for Japanese Canadians during the off-seasons of their other labour, such as work in the fishing and forestry industries. Some of the charcoal may have been for personal use, but most of it was exported from the islands, including for use in coastal salmon canneries. 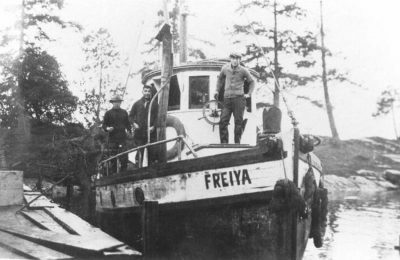 Research indicates that many of those of Japanese descent living in the Gulf Islands during the late 19th and early 20th centuries came from parts of Japan well-known for making charcoal. Chapter 2, “Isaburo Tasaka’s Journey to ‘America’” is contributed by Chuck Tasaka, an educator and the grandson of Isaburo Tasaka. The first part of this chapter provides biographical information about Isaburo Tasaka, including his activities in the early 1900s on Salt Spring Island where he built kilns and made charcoal, selling it to blacksmiths and a soap factory. Tasaka then turns to charcoal-making, including a description of how the kilns were built — digging a pit about six meters long, three meters wide, and two meters deep, and building rock walls around the edges; then building layers of plank flooring with vents. Logs were placed vertically inside the kiln and a roof was built with clay soil over top of branches. After setting fire to kindling, it took four or five days to produce the charcoal. Those who tended it took care that the logs did not catch fire. 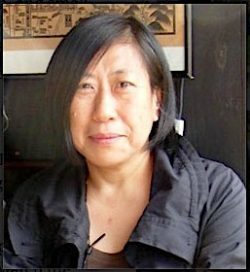 Journalist Suzanne Fournier contributes Chapter 3, “The Story of Saltery Bay,” which is only indirectly related to charcoal kilns, focusing instead on the once “bustling industrial village” on Galiano Island which included up to 400 seasonal and permanent residents, many of them Japanese, who worked in the several local salteries for processing herring and salmon. They put down their roots at Saltery Bay village, but little obvious evidence of their presence and contributions remain visible there. Today there remains not a single Japanese place name on Galiano and virtually no families of Japanese origin ever returned to live there. On North Galiano beaches, haunting artifacts of the people who once lived there are all that is left behind: ceramic bowls, blue and white pottery shards, celadon fragments, delicate porcelain doll parts, multicolored beads, toys and fragile Japanese bottles that once held eye drops, hair dye and skin cream. Steve Nemtin, the avocational archaeologist whose initial fall into a kiln initiated this project, provides the fourth chapter – “Japanese Charcoal Pit Kilns: History, Archaeology, Anthropology.” This chapter begins with a brief overview of the global history of fire, as well as the appearance of ceramics and kilns, before turning to details of the pit kilns in the Gulf Islands. Nemtin provides an overview of the fifteen charcoal pit kilns currently known and describes their construction, noting that “All of these charcoal pit kilns were dug into a slope and lined with a rock wall. 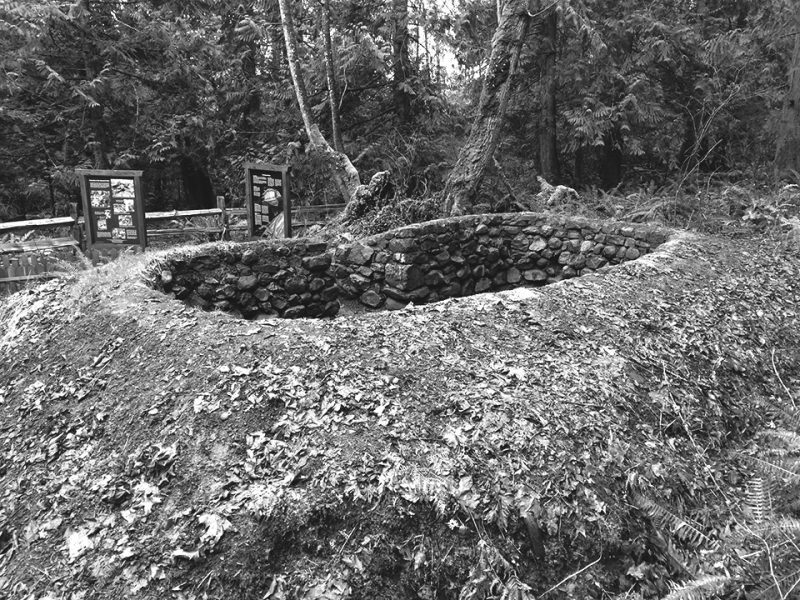 When in use they were topped with a clay-earth dome, covered with a shed roof to protect them from the elements.” The majority of the kilns are teardrop in shape, although he does note one remarkable circular pit charcoal kiln on Mayne Island with a diameter of four meters and with three-meter high walls. Nemtin also describes contemporary charcoal making in Japan, based on a visit there in 2016. 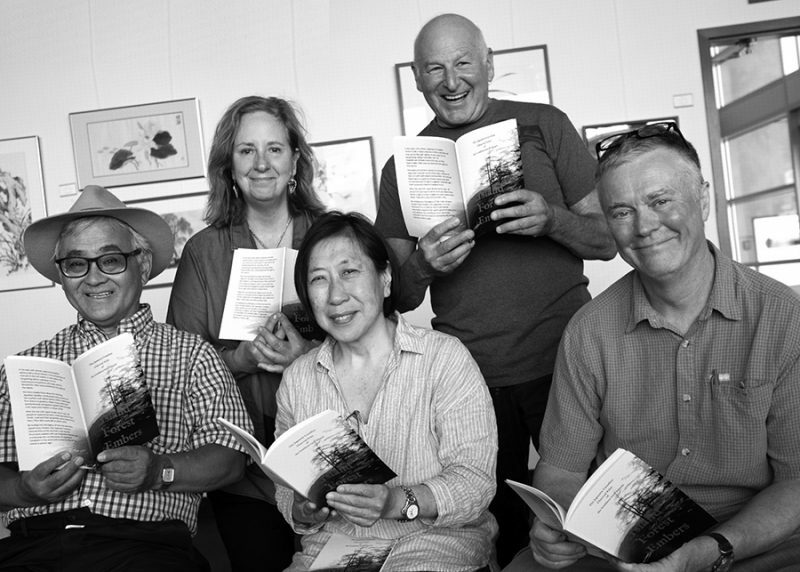 Next up is Chapter 5, “Charcoal in Japan,” by Munehiko Iwaya of the Japan Charcoal Society and translated by Rumiko Kanesaka and Brian Smallshaw. The chapter includes a description of various ways of making charcoal, the different kinds of charcoal there, the history of charcoal in Japan, and the contemporary uses of charcoal in Japan beyond heating, including use as a purifier, a dehumidifier, and as an amendment to soil. 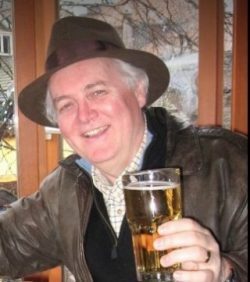 Although short, this book makes a substantial contribution to B.C. history, especially regarding the activities of those of Japanese descent in the late 19th and early 20th centuries. The forced removal of Japanese from their communities in 1942 and their banishment until 1949 resulted in a substantial loss of knowledge of their activities, both by those of Japanese descent and in the communities that once accommodated them. Many of those removed did not return to their previous communities. Government agents — “Custodians of Enemy Property” – had sold much of their land and other possessions during their internment, and there was little reason to return. In the case of the charcoal industry in which the Japanese were prominent, relatively little was known. In this regard, this book makes a worthy contribution. 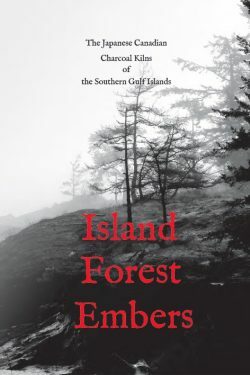 Island Forest Embers also contributes to a broader history of the southern Gulf Islands, especially to its social and economic history, and it provides an excellent example of how a group of dedicated individuals and non-profit societies can provide high quality and innovative public scholarship. There is also archaeological value in this book. I think most archaeologists working on the south coast and Gulf Islands, where pit kilns were in use, will find value in identifying another possible kind of structure indicated by depressions in the landscape. My own archaeological field research for the past two decades has focused on early 20th century Japanese camps in the forests of North Vancouver. I recall one dating to the 1920s that has a large circular depression about 100 meters away from the camp. I have never been able to figure it out. It is too big for a cooking pit and too deep for a prehistoric pit house. It doesn’t look like any depressions left from trees falling over that I have seen before, and there appear to be quite a few cobbles in the edges, from top to bottom. I intend to go back now to see if this could have been a charcoal kiln. I also like it that this book shows the value of avocational archaeology. To be sure, amateurs that dig in sites, mostly looking for artifacts, wreak havoc on the archaeological record. Island Forest Embers provides a good example of the positive benefits of avocational archaeology in B.C. ; not only in the discovery and recording of sites, but also in their restoration and public education. Island Forest Embers has good production values, an excellent selection of sketches and diagrams, a Preface providing context for historical charcoal kilns of the Southern Gulf Islands project, a sprinkling of footnotes, a selected bibliography, and short biographies of each of the contributors. My criticisms of this book are minimal, and restricted to the repetition of information. For example, definitions of charcoal, descriptions of the kilns, and summaries of the process of making charcoal appear in multiple chapters. A positive benefit of this is that each chapter can effectively stand alone. However, at only sixty pages, I imagine most readers will read the book through in a single sitting, in which case the repetition makes some of the reading redundant. Bob Muckle has authored several books on archaeology and anthropology, including Introducing Archaeology (University of Toronto Press, second edition 2014) and The First Nations of British Columbia (UBC Press, third edition 2014). 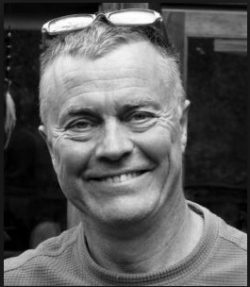 He teaches archaeology and anthropology at Capilano University and is currently working on a semi-scholarly book on his own historical archaeology project, focusing on Japanese logging camps in North Vancouver, as well as a popular book on archaeology in B.C. For his Japanese camp work, see “Archaeology of an Early Twentieth-Century Nikkei Camp in the Seymour Valley,” BC Studies 192 (Winter 2016/17), pp. 125-148.